Ice B’ Gone Magic Treated Salt starts out as ordinary rock salt and is then treated with a liquid, agricultural by-product of the distilling process blended with magnesium chloride. This patented liquid is trademarked as Ice B Gone Magic. This combination process results in what we call “Ice B Gone Magic Treated Salt.” It is available in bulk and 50b bags for the contractor. 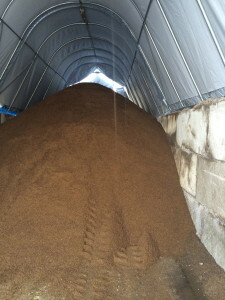 Your salt pile can be sprayed to create IBG Magic Treated Salt! 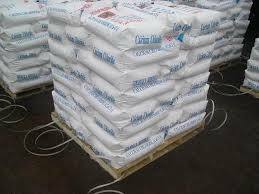 We also sell BULK ROCK SALT and a Sand/Salt/Liquid Mix by the yard. ICE B’ Gone Magic also exhibits a residual effect, making it last longer than ordinary de-icers. 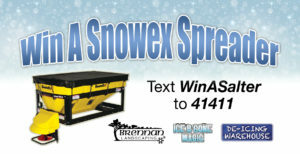 Ice B’ Gone Magic’s effectiveness allows you to use 30 to 50 percent less product when compared to Rock Salt. 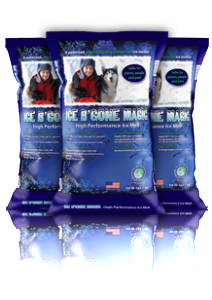 Ice B’ Gone Magic Treated Salt is biodegradable, environmentally friendly, pet-friendly, and less corrosive than traditional treatments. ICE B’ Gone Magic Treated Salt is safer to use on concrete and other hardscape products, it’s less corrosive, and will not harm curb-side grassed areas or plants when used as directed. Try it today and see why everyone is talking about Ice B’ Gone Magic! While halite or rock salt does not chemically attack concrete, it may affect damage to concrete from freeze-induced expansion pressures by increasing the number of freeze and thaw cycles. Wondering About Concrete Damage From Rock Salt? 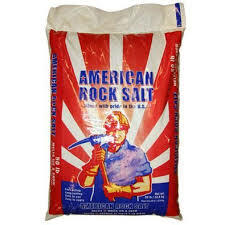 It is common knowledge that rock salt will damage concrete sidewalks and driveways. 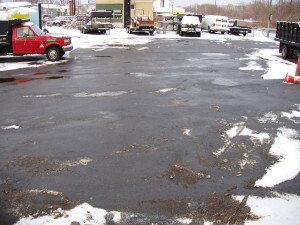 However, what is not well known is that ALL ice-melters can damage concrete. This will explain how and why it happens, and what can be done to help prevent this damage. When the hydraulic pressures of the re-freezing water exceeds the compression strength of the concrete, damage can occur. Additionally, the more often the freeze/thaw cycle happens, the more likely the damage is to occur. This being said, a one-time use of rock salt is unlikely to cause damage.